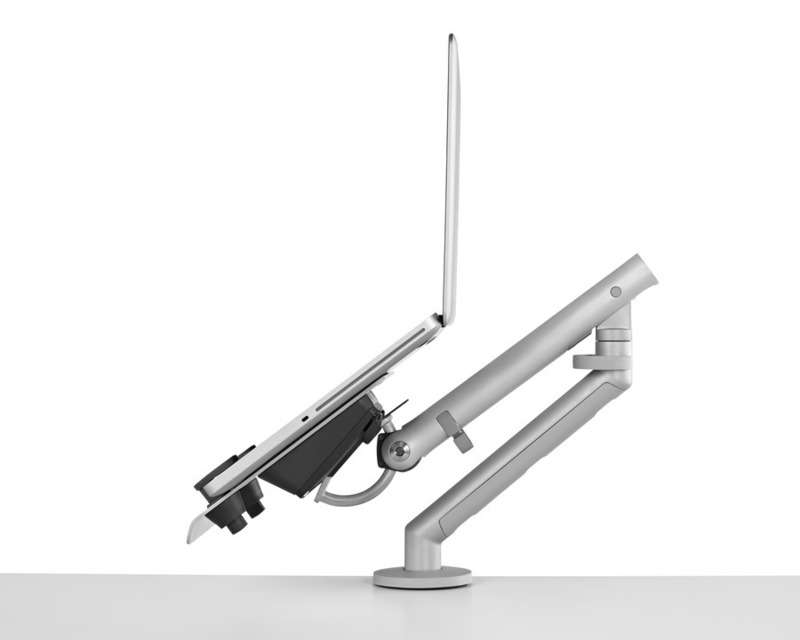 The Laptop Mount lifts notebook computers off the work surface, allowing workers to adopt better postures and avoid eyestrain while clearing valuable desktop space. 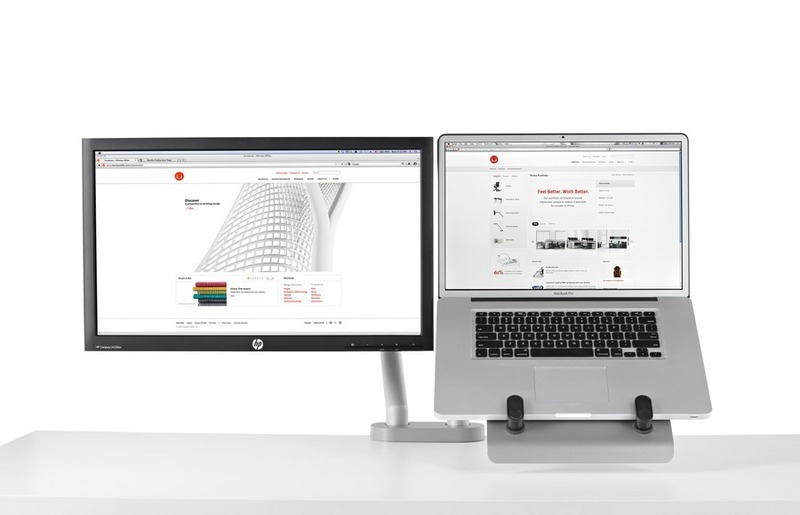 It's compatible with most Herman Miller monitor supports. Requires an external keyboard and mouse.